Rochester Runners President, Thom Flynn, presents Free Fall 5k check to SOS Recovery. On January 5th Willem Verweij Physical Therapy and Runner’s Alley offered an excellent workshop on winter running. Willem is a long time member of the running club as well as a sponsor of the Free Fall 5k. During the workshop Willem and Lucas (the PT that specializes in injury prevention and treatment for runners) showed a good number of exercises that strengthen the muscles used when running. Willem has given us permission to share his written instructions and the links to their video instructions to club members. They suggest doing these exercises one after the other. These don’t take a lot of time and help create some muscle fatigue which will help you get stronger. With some practice these exercises could be done in 15-20 minutes. The reps and sets below and mentioned in the videos are guidelines. Adjust up or down as needed. Your goal is to get the muscles to some level of fatigue. If you have any questions, do not hesitate to contact us. www.wvphysicaltherapy.com. The links are below. We hope you will find them helpful! The 2019 club registration is open. Please take a moment to renew or become a new member. The 9th annual Epsom Old Home Day 4 Miler will be held at Webster Park in Epsom NH. This year it is also the 5th race in the NHGP series that includes 8 races for 2018. Start time is 8:30 AM and there is also a 2 mile walk option. Any Rochester Runner (or former RRC runner) can get a special deal of only $15 instead of $20 or $17 for NHGP members if you mail the application to Don Yeaton with your check! Check out this great article in Fosters!! RR wants to congratulate Kevin Scott and Cliff Parkinson for completing the Dopey Challenge at Disney World in January. The Dopey challenge consists of running a 5k, 10k, 1/2 Marathon and full Marathon, over four consecutive days. Well done! Who’s idea was to do the Dopey Challenge??? We’ll have more about the Challenge and some photos in the next newsletter. I am so pleased to let RR members know that our first donation of $1,500 has been received by the Homeless Center of Strafford County. This week I will be dropping off a $1,500 check to Jerry’s Food Pantry. This year we are also donating $100 to End 68 Hours of Hunger. This is a volunteer effort to provide backpacks of food to students in Rochester schools to ensure they have food over the weekend when they do not have access to school meals. Thanks so much to all the volunteers who made this race a success. 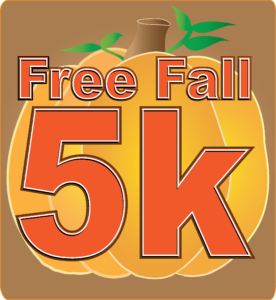 The Free Fall Classic has truly become a community event. This is how a RR membership supports a club activity. We cannot do it without all your help. During our December Christmas Party/meeting, election of Officers took place for 2018. After serving the club for the past two years, Ken Houle, Vice President, and Bethany Robinson, Secretary, decided not to continue for the this year. I cannot say enough good things about the work both of them did for RR. Currently the Officers are; Thom Flynn, President, Mike Andrews, Treasurer, and Bill Leonard, Web-Master. Bill has been gracious in offering to help keeping track of memberships. We continue to welcome any club member who may be interested in filling either Ken or Bethany’s position.